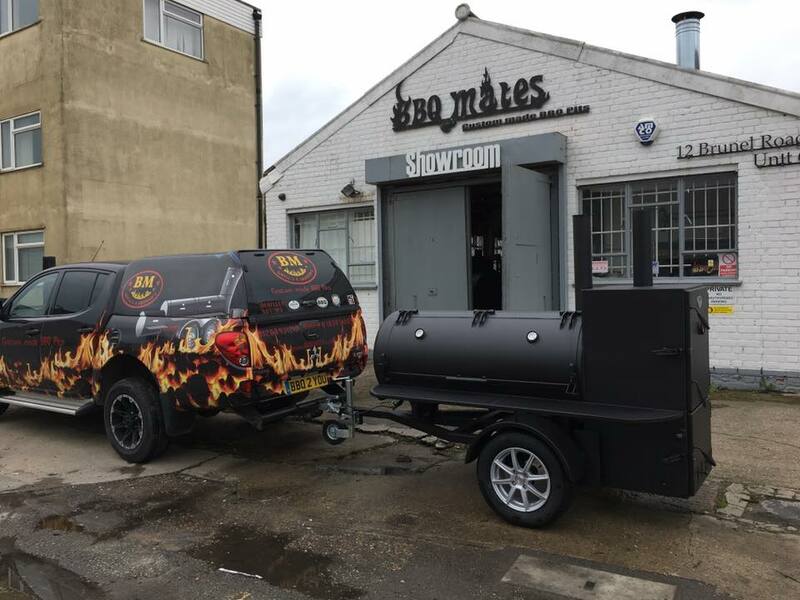 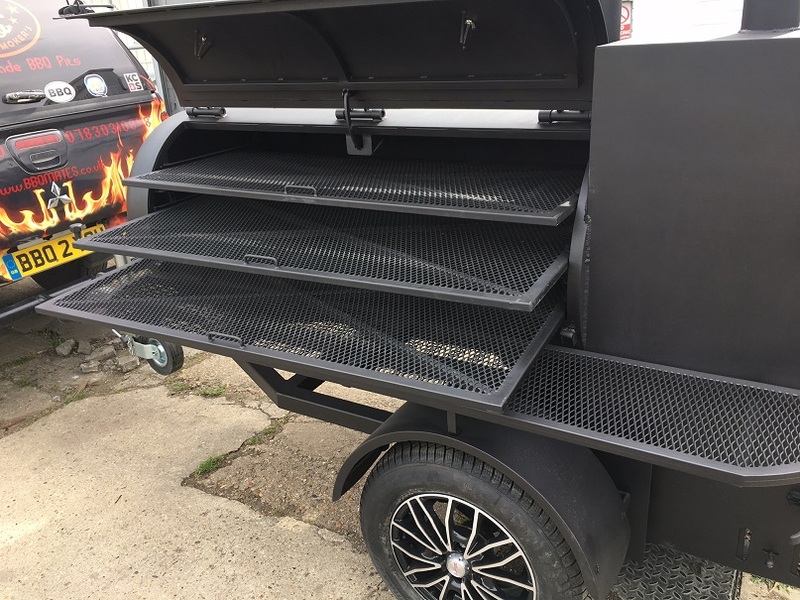 It’s a unique portable medium size barbecue Trailer with enormous grilling and smoking space. 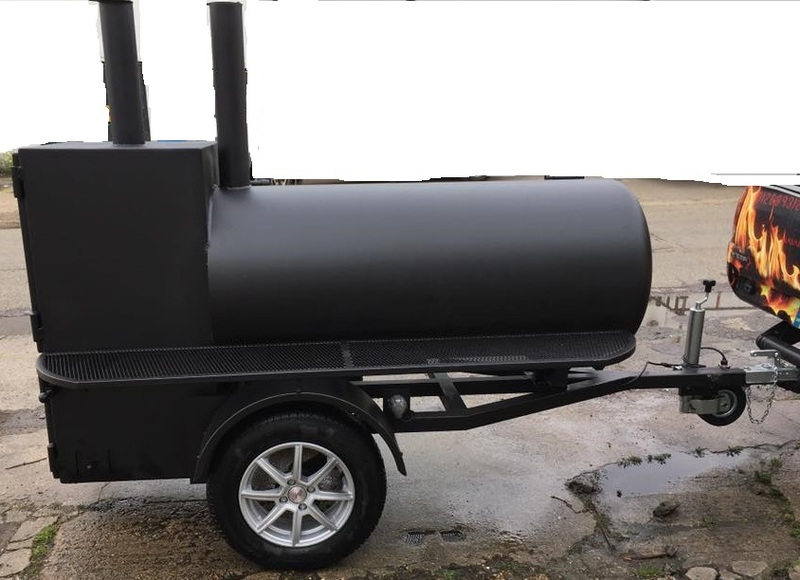 The BBQ Trailer is a fully-functional mobile cooking machine, complete with the large smoking/cooking chamber and Warmer/Grill. 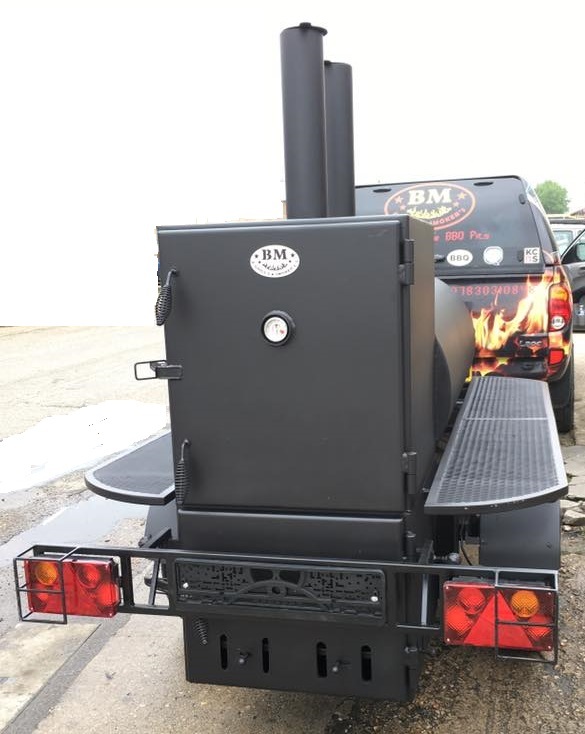 BM-1 comes with BBQ ability to grill in the Warmer and also boil fry on the cast iron hotplate inside the warmer mounted on the fire box (charcoal drawer for grilling included). 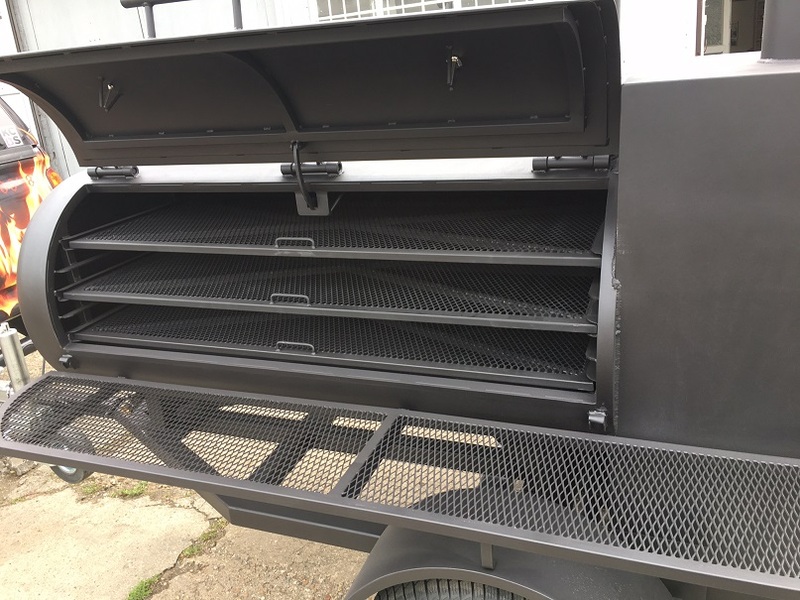 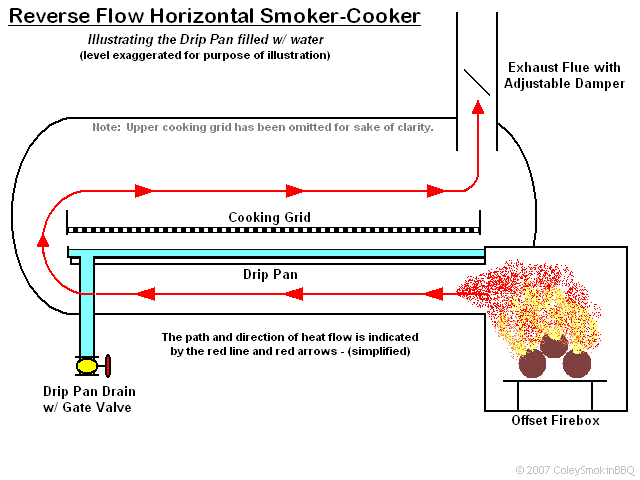 This versatile setup lets you smoke or grill at the same time. 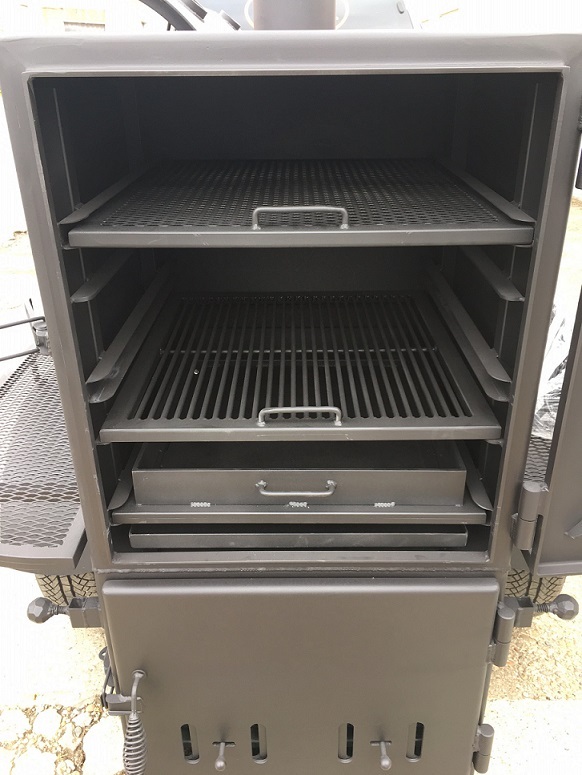 The BBQ Unit made in 5mm thick steel, finished in heat resistant paint and looks smart and sophisticated. 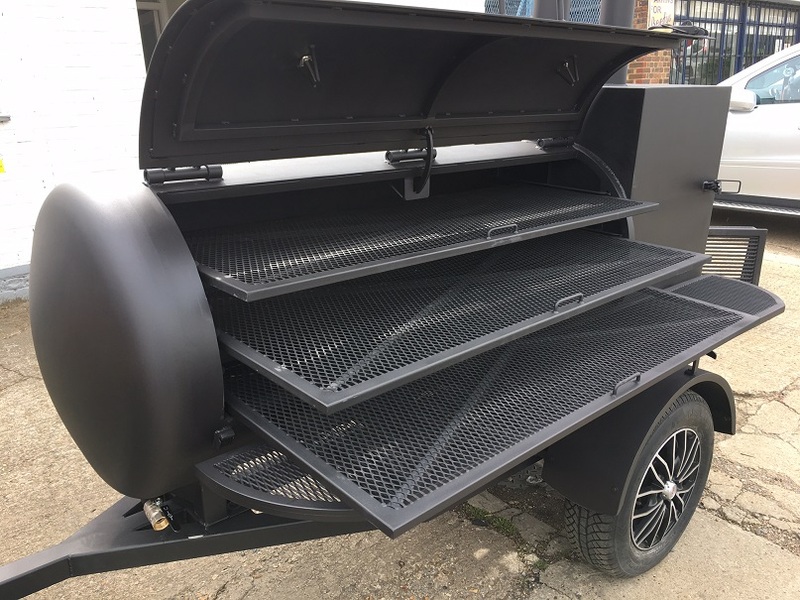 This really has everything you need for family business to use for private parties, corporate events, music festivals, country shows, BBQ Competitions and even BBQ rental stores. 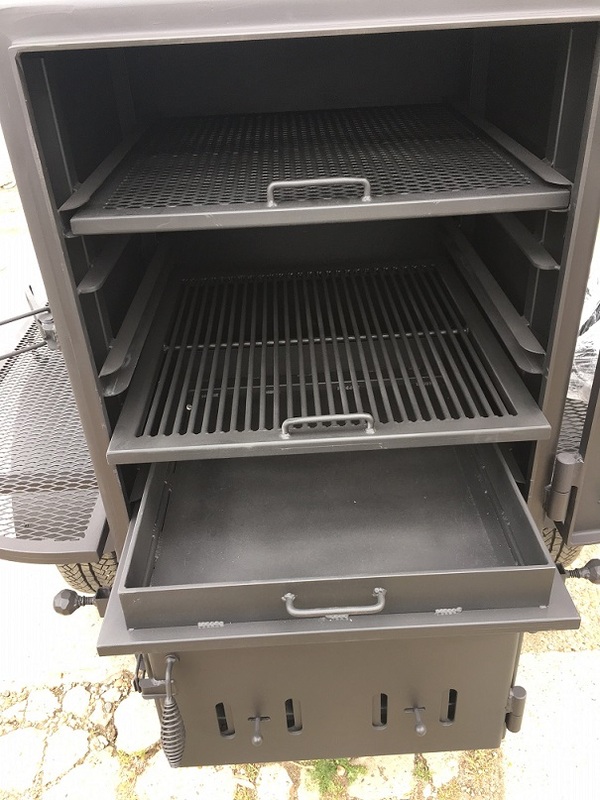 The Main chamber is 70cm in diameter and 170cm long. 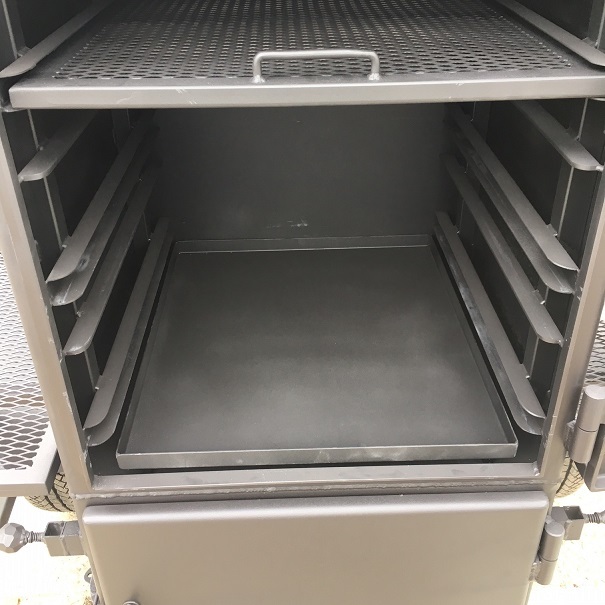 Equipped with stainless steel grease tray (drain) and the ball valve tap underneath the chamber. 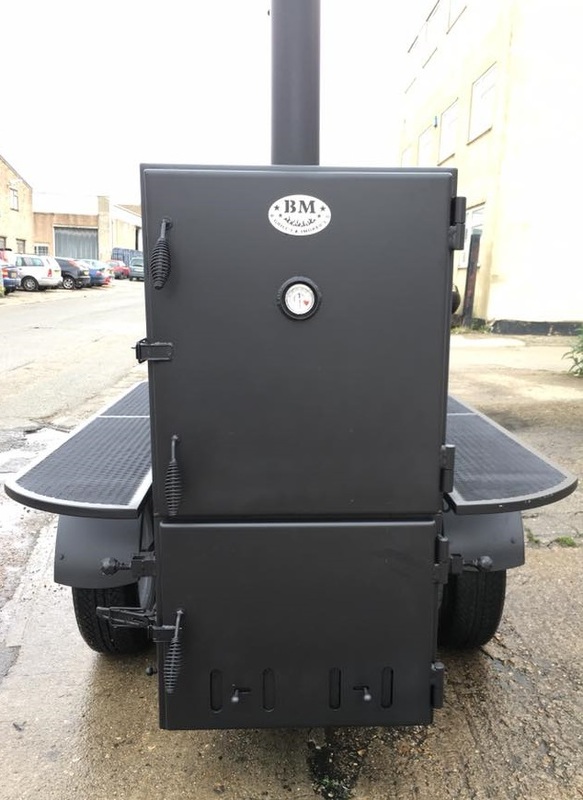 Easy to control the temperature using the adjustable dampers on the firebox and chimney stack. 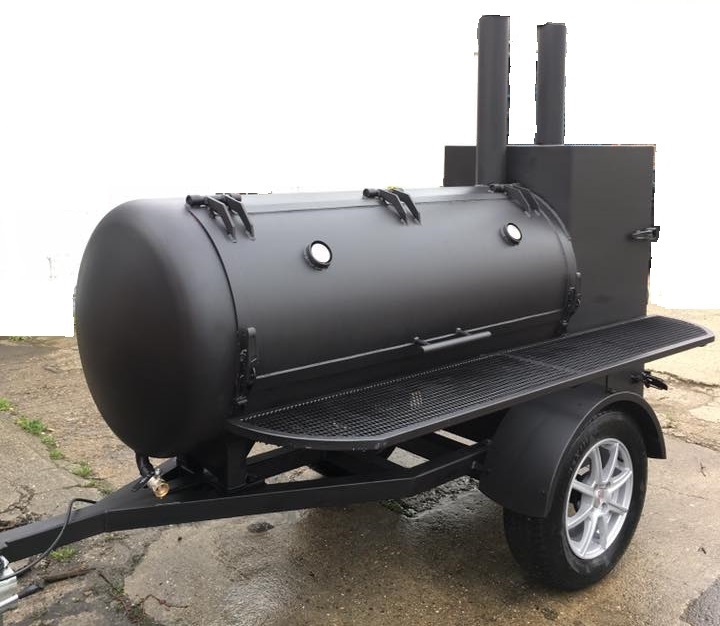 Warmer dimensions: 70 x 60 x 60cm (can use it as the smoker as well) , equipped with 3 food racks and drip tray. 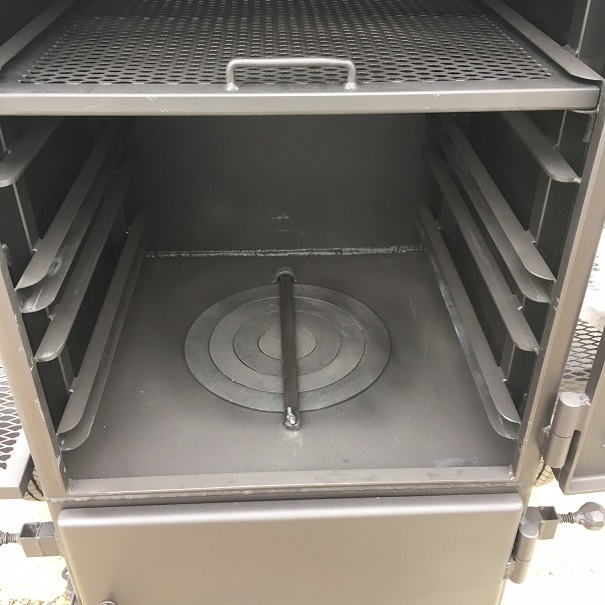 Firebox constructed in 5mm thick steel plate. 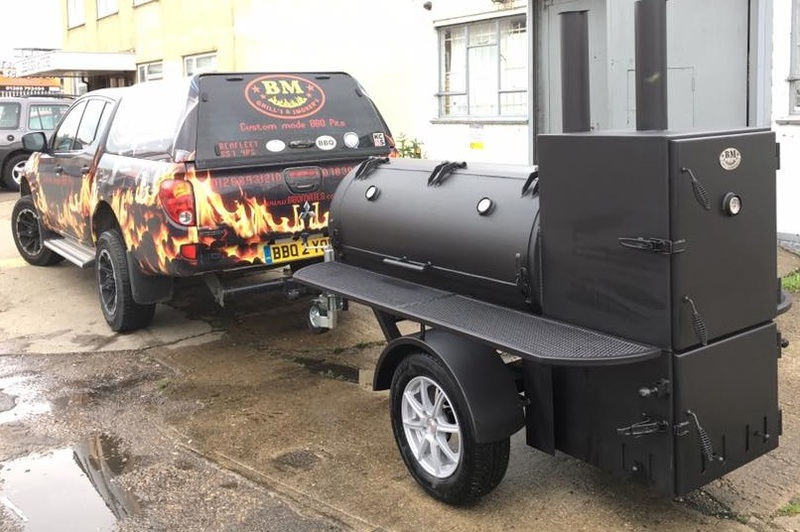 The BBQ unit mounted on the single axle(up to 750KG) trailer. 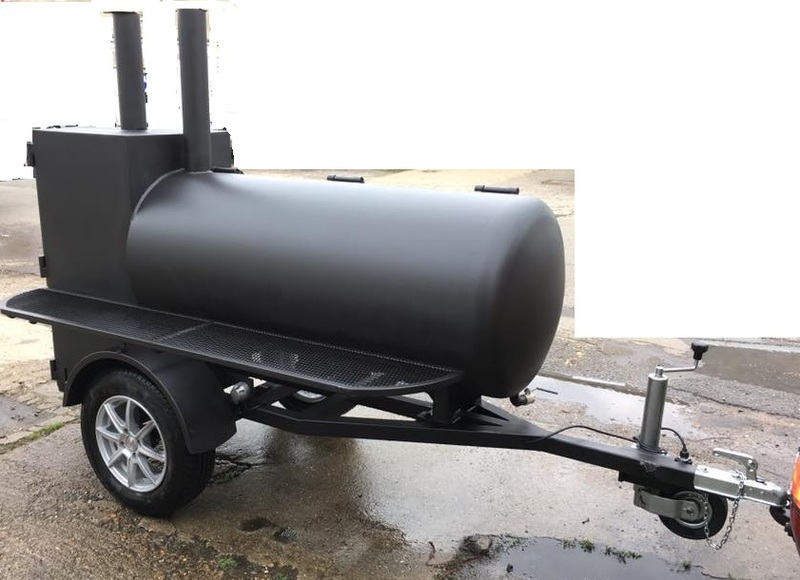 The trailer includes complete lighting kit. 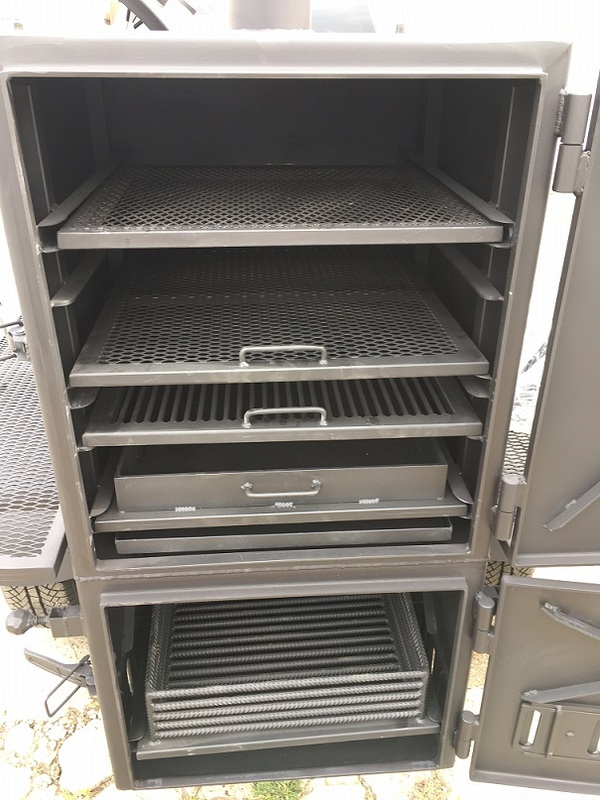 All doors and lids lock for safety and security. 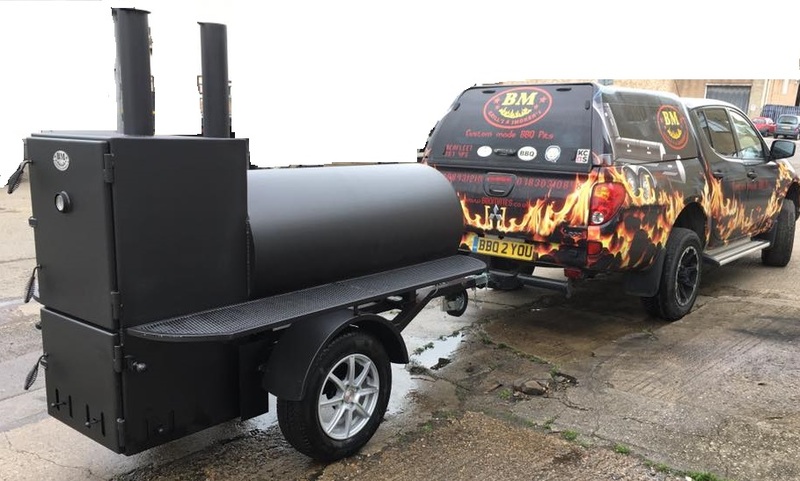 This mobile BM-1 barbecue pit can be towed by any size car, van or truck.